Yovaish Engineering Services, LLC is a Consulting Engineering Firm specializing in the Earth Sciences, Hydrogeology, Geotechnology, and Construction Materials Testing. The firm was established in Altamonte Springs, Florida and now has a staff of approximately 10 employees. The technical staff includes one registered Professional Engineer, and one (1) Undergrad Engineering Intern. 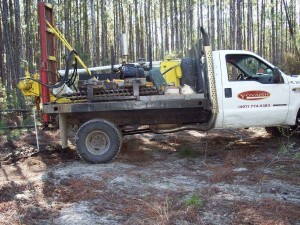 The geotechnical engineer, project staff, and engineering personnel have extensive experience in the Central Florida area. Yovaish Engineering is located within the City of Altamonte Springs corporate limits at 953 Sunshine Lane. The facility includes a fully equipped soils engineering and materials testing laboratory, with modern testing equipment. Yovaish Engineering has state of the art computer/graphics capability, and technical library and in-house computer stations used to model and analyze complex groundwater and geotechnical problems. The principal of Yovaish Engineering, Douglas J. Yovaish, P.E. has resided in Florida for more than 30 years, attended the University of Florida in the early 1980’s, and graduated with advanced degrees in their respective fields. Since graduation, he has been employed in the Central Florida engineering community, with responsible charge of projects spanning the peninsula of Florida from the panhandle, east to Amelia Island in Nassau County, and as far south Alligator Alley in the Everglades. Design, permitting, and construction supervision experience of the principal of the firm includes the investigation and providing design/recommendations for thousands of projects. Specific areas of expertise include hydro-geotechnical input to design/permitting of water and wastewater treatment plants, effluent disposal facilities, roadways and bridges commercial/retail shopping centers, subdivisions, and apartment complexes. Yovaish Engineering has extensive professional experience in providing on-site field quality control and materials testing for all phases and types of construction projects throughout the Central Florida area.